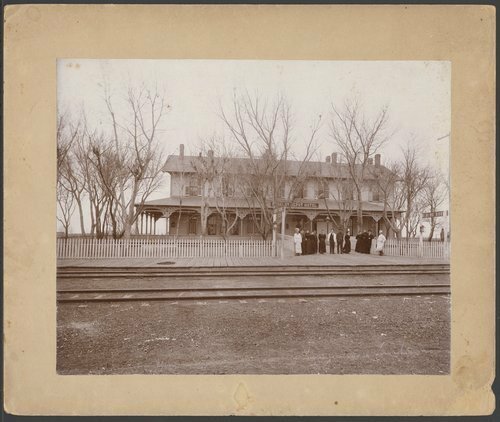 This photograph shows the Kinsley Depot Hotel located at 213 East Eighth Street in Kinsley, Kansas. The long wood frame two story building was destroyed by a fire and torn down in 1898. It was possibly managed by Fred Harvey.